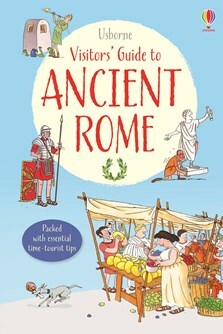 This spoof travel guide covers all aspects of Ancient Roman life, from how Romans farmed and what they ate to Roman gods and how they were worshipped. With humorous cartoon illustrations, fact boxes and timelines, plus a guide to the best villas and markets. Contents and index pages are included, plus internet links to help children find out more.